If you are going to call your band Progression then you need to be pretty damn progressive. It’s like calling yourself Mr Big – if you’re not the tallest, widest or most powerful geezer in the room then, inevitably, your appearance is going to result in disappointment. Such is the danger with Noxologic, the second album from this collection of Finnish instrumentalists. ‘Regression’ would be a better name because it harks back to the mid-’70s jazz fusion of John McLaughlin, the Mahavishnu Orchestra and Jean-Luc Ponty. There are fiery guitar solos taken at 100mph, eastern-influenced scales, solid, muscular bass and drums and viola replacing the Mahavishnu’s violin. The reason is clear once you look at the history of the band – it was formed in 1976 by guitarist Harri Nokso but folded after a few gigs and a demo. Decades later Nokso resurrected the name with new musicians from Paidarion, Ozone Player and Mist Season, and they made their comeback in 2007 with The Dream of Cecilia. 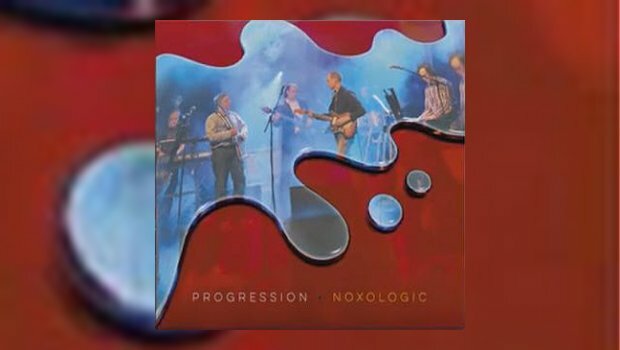 Noxologic was intended to follow in 2010 but the recordings were shelved until 2016 when they were dusted down and released. But the music has pretty much stayed in 1976, and it’s a furrow that plenty of bands have ploughed in the last 40 years. If you accept that – and if, furthermore, you believe that a bit more Mahavishnu-like jazz fusion is what the world really needs – then there is plenty to enjoy here. The guitar work is fast and sharp, many of the tracks have plenty of power and drama and the violaist (yes, it is a real word) gives Progression a distinctive sound. In fact, for me, the viola is the star and Progression are arguably at their best when they let Jussi-Matti Haavisto let rip. Sometimes the instrument growls, at other times it parallels the guitar lines with a nice woody fuzz, then it’s allowed to go on wild journeys of its own. The tracks that work best are when the viola is the star – on Asia which, despite its somewhat cheesy theme of ‘jazz from the mysterious Steppes’, has the viola weaving hypnotic lines over a funky, bubbly bass; and on The Arcosanti Pork Ritual, in which drummer Kimmo Porsti gets his head down and provides a driving beat while guitar and viola duel for their lives. Also included are four live versions of tracks from The Dream of Cecilia (one of them sounding remarkably like the intro from a Rush song) that show Progression’s musicianship is as tight and impressive on stage as it is in the studio. In fact, they come across as a bit looser, a bit funkier. It’s not Progression. But I’m reassessing my decision to call their music Regression – it’s something in the middle, perhaps a term that I understand is not being used at the moment and may be available. In jazz fusion terms, they could be the Status Quo.